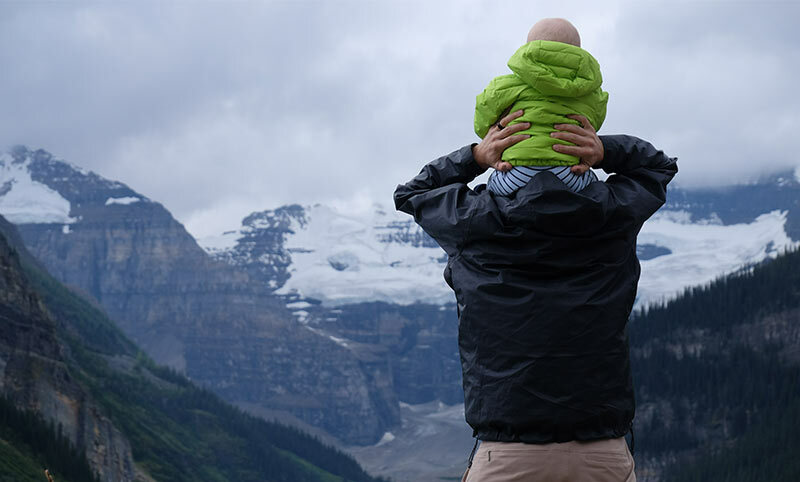 Mountains and Toddlers: Go or stay home? If you’re traveling with an infant, you may be wondering whether it’s OK to take them to places with high altitudes. On the one hand, you’ve heard altitude adjustment can be difficult even for adults. On the other hand, plenty of babies live in high altitude cities around the world, from La Paz, Bolivia, to Lhasa in Tibet. In the United States, there are Leadville, Colorado (more than 10,000 feet above sea level); Flagstaff, Arizona (7,000 feet); and Albuquerque, New Mexico, Santa Fe, New Mexico, and Denver, Colorado (all also higher than 5,000 feet). It’s well known that lower oxygen can be a problem for travelers of any age at altitudes higher than 8,000 feet. Symptoms of altitude sickness are similar to those of a hangover, the U.S. Centers for Disease Control and Prevention says: headache, nausea, feeling tired. Babies can’t tell you what is wrong, but their symptoms will appear similar. They may be listless, irritable or not have an appetite. Doctors advise that babies younger than 3 months, those who were premature or those with health problems should not travel to high altitude areas. For others, it’s probably safe, but you should clear it with your doctor first and then take a few precautions in addition to the adjustments you make for yourself to cope with high altitude. First, plan your trip so you get used to higher altitudes gradually. Make stops along the way. Dehydration can be a problem with higher altitudes, so take plenty of liquids or plan to nurse your baby. Take along a comforting blanket and sunscreen. Cooler temperatures and higher sun exposure both are likely. Don’t forget medicines that you’d normally give your child in case of fever, headache or nausea. The best treatment for altitude sickness, of course, is to go to a lower altitude as soon as possible, and call your pediatrician if your child seems ill. If you are taking your trip by airplane, you may wonder whether flights can contribute to altitude sickness. While symptoms are usually mild, it is possible to experience some altitude discomfort during flights, CNN reported. To keep your children from experiencing the symptoms–achiness and shortness of breath–keep them hydrated.